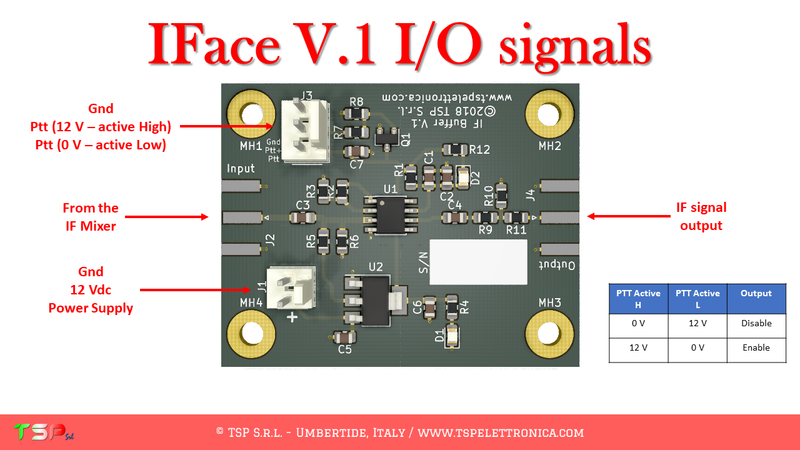 Installing IFace inside the TS-2000 - TSP S.r.l. These are the instructions to install the IFace interface inside of the Kenwood TS-2000. The installation is very easy. The result you can obtain is well shown in the following video. 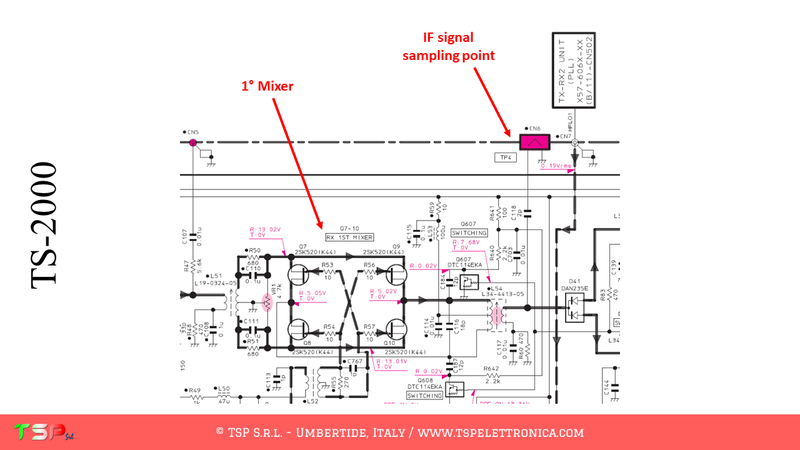 The TS-2000, as well as other radios, has a fairly complex configuration and uses different intermediate frequencies depending on the band on which it is operating. In any case, the one described here is the sequence of operations to be done to obtain sufficient bandwidth to make a panoramic receiver around the selected IF frequency. For this reason we opt for the first average frequency and before the roofing filter (or intermediate frequency filter). The following image shows the point where the IF signal will be taken for reception in the HF / 50 MHz band. 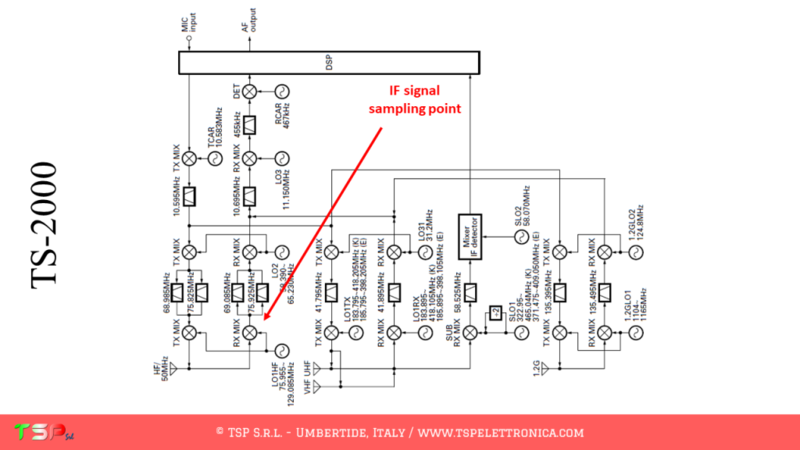 The point where you can take the IF signal can be more precisely identified by means of the wiring diagram as shown in the following images. We can use the CN6 connector (pay attention to the polarity). 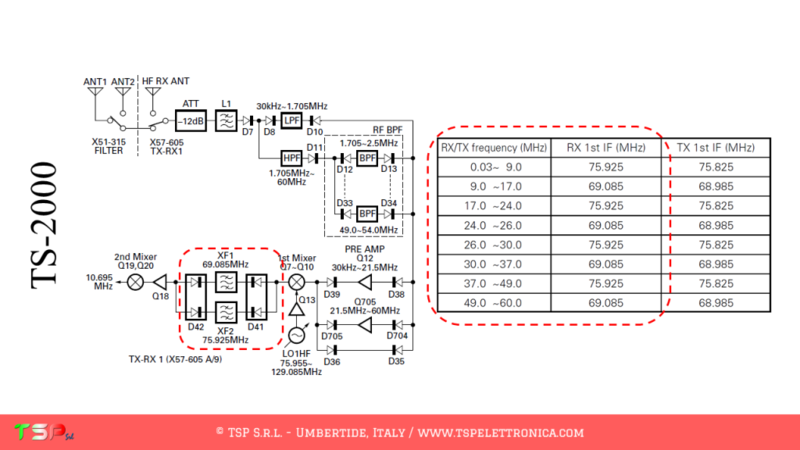 The electronic card of interest is the one called TX-RX1 and is located on the bottom side of the radio. 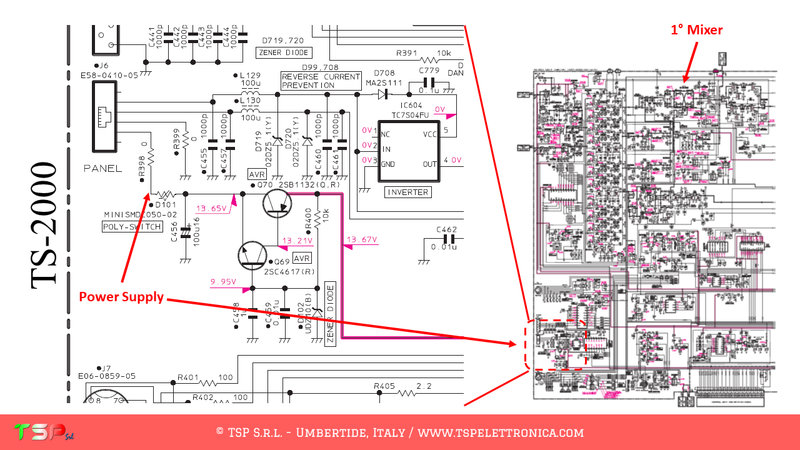 Now we have to look for the point where to draw the power supply. 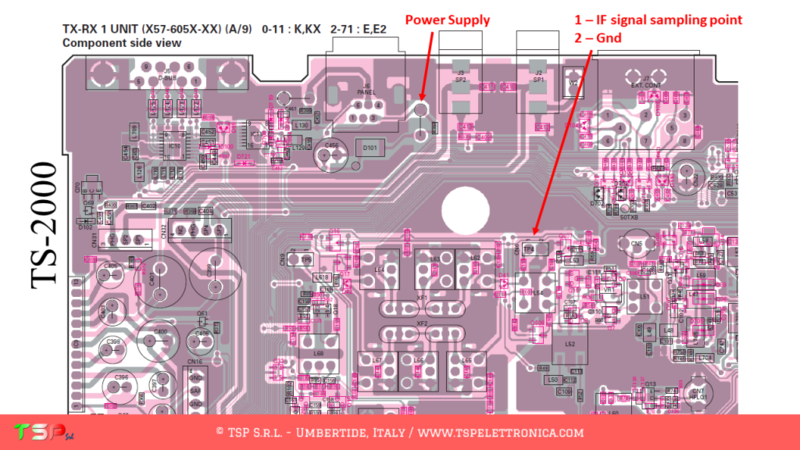 In the lower part of the TX-RX1 diagram on the left is the “PANEL” connector. 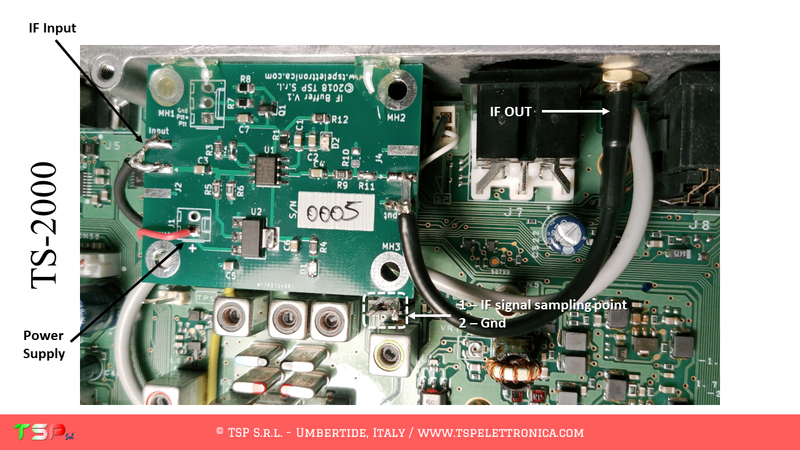 Nearby is the resistance R398: at the ends of this it is possible to take the voltage with which to feed the IFace. These components are physically located near the CN6 connector from which the IF signal is taken. 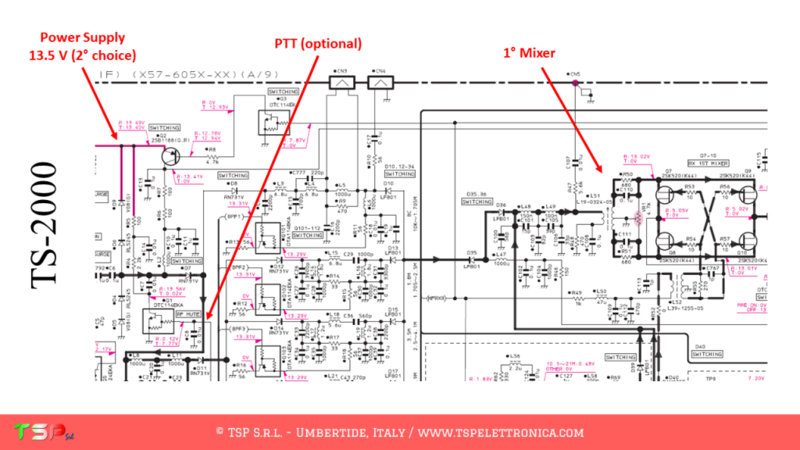 PTT: for the TS-2000 it is not required because the reception circuit is automatically muted (MUTE) during transmission. 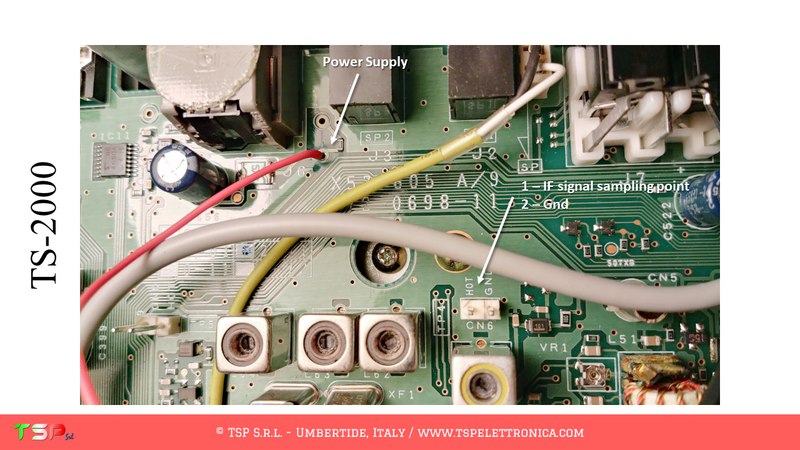 In the following pictures you can see how close to each other are the points where to take the IF signal and the power supply: the installation is therefore really simple. ATTENTION: Though installing the IFace is not difficult, you do this at your own risk. TSP S.r.l. is not responsible for any damage, unwanted side-effects or whatever. For more information do not hesitate to write us. TSP S.r.l. is an Italian engineering company. 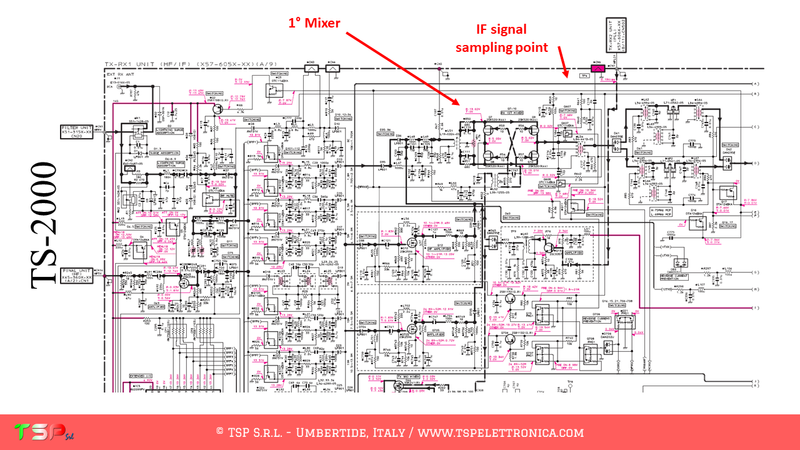 We design electronic system for civil, industrial and scientific application. For more information do a click on the logo.